Expected New Basic Pay in R.P.S 2018 at Diffierent Fitment levels, fitment and master scales to ap telangana employees in rps prc 2018 instructions for pay fixation prc rps fixation softwares telangana andhra pradesh prc revised pay scales 2018 expected new basic pay in prc rps 2018 complete gos and memos pay revision commission . PRC 2018 Proposed Pay Scales and Allowances (HRA Hike and Radius ) Details. 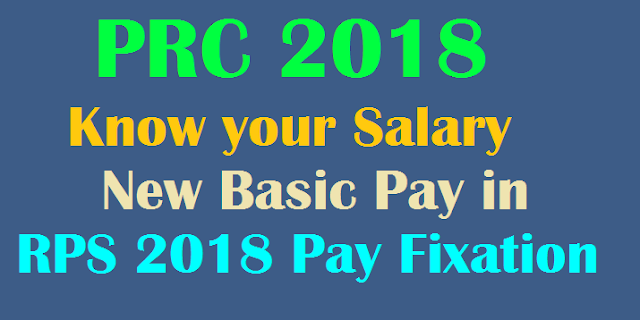 ap-ts-prc-2018-know-your-new-basic-pay-telangana-andhra-pradesh-prc-revised-pay-scales-2018-rps-fixation-softwares-gos-and-memos-pay-revision-commission. PAY, ALLOWANCES AND OTHER SERVICE CONDITIONS GENERAL PRINCIPLES GOVERNING PAY SCALES AND ALLOWANCES PRC 2018. Proposed Pay Scales and Allowances (HRA Hike and Radius Also) Details here. PRC came from English words Pay Revision Commission. For every 5 Years State Govt will appoint Pay Revision Committee to study the possibilities and real need of employees. This Committe study the things Pay fixation Basic pays DA Fitment. According to the findings committee will decide basic pays. Fresh Master Scales Increments Dearness Relief. This Pay Revision Committee will study previous PRC Report and Submit Scientific Basic Pays to Govt.